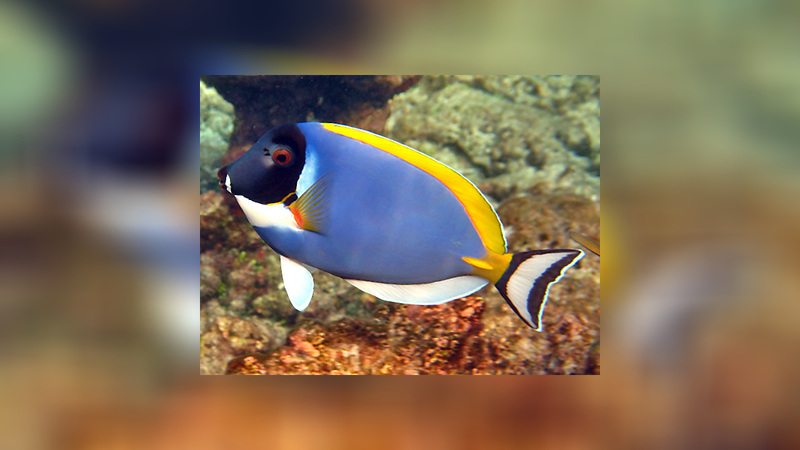 The powder blue surgeonfish is the most delicate species among the tangs and surgeonfish. Still only a few specimen of this stunningly beautiful fish survive in captivity in the long run. It is said to be sensitive to the poison released by the stinging cells of corals and anemones. 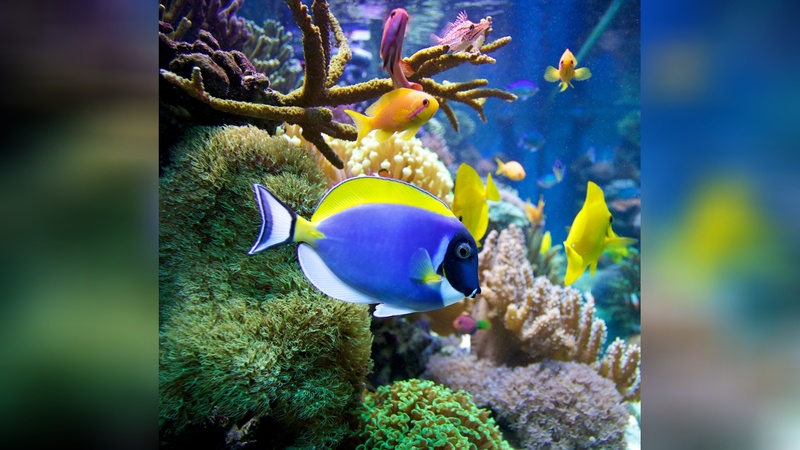 However, we consider this to be rather a myth otherwise many aquarists keeping a powder blue surgeonfish in a reef tank full of corals would probably suffer more losses. 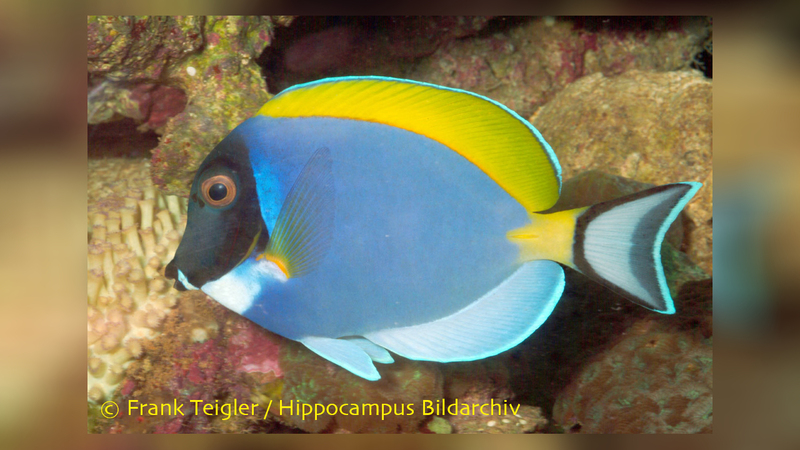 What is true is that the powder blue surgeonfish is very susceptible to marine ich or marine velvet disease when not in optimum health. So the slightest change in its environment or any variability in water parameters may cause an outbreak. 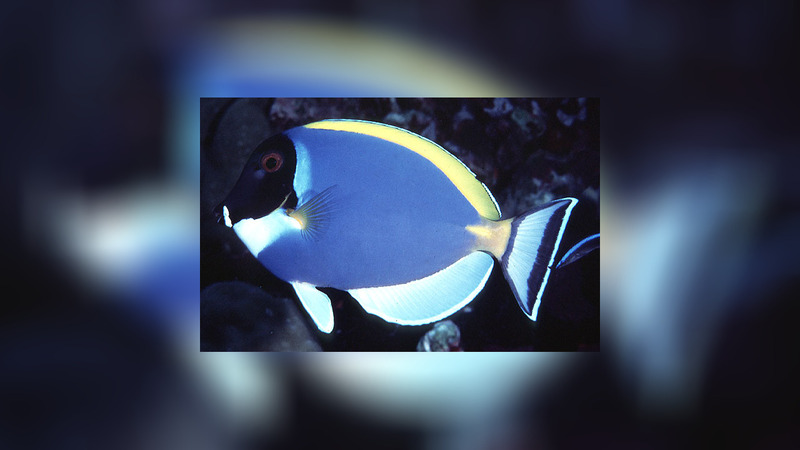 In a tank Acanthurus leucosternon strives to be the boss and tends to be extremely aggressive against tank mates, especially other tangs or surgeonfish, particularly those similar in form and colour. 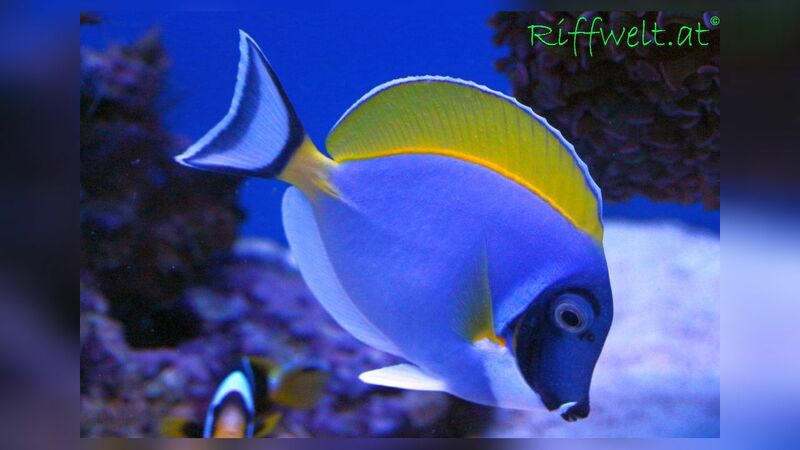 For a successful husbandry the diet of the powder blue tang should include frozen meaty items as krill and mysid shrimps as well as algae. Water parameters (especially alkalinity and ph-value) should always be kept at optimum and the use of an UV sterilizer is also recommended. 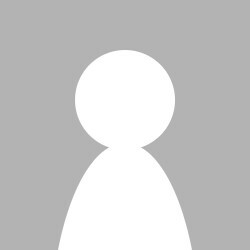 Sorry, aber ich kann mit den Bemerkungen von "Biologe" nix anfangen, das stört, muss das hier stehen bleiben?